three Halloween Pumpkins head lantern with burning candles on a black background on wooden table with knife and spoon. Celebration of the holiday of Halloween, celebration. top view. 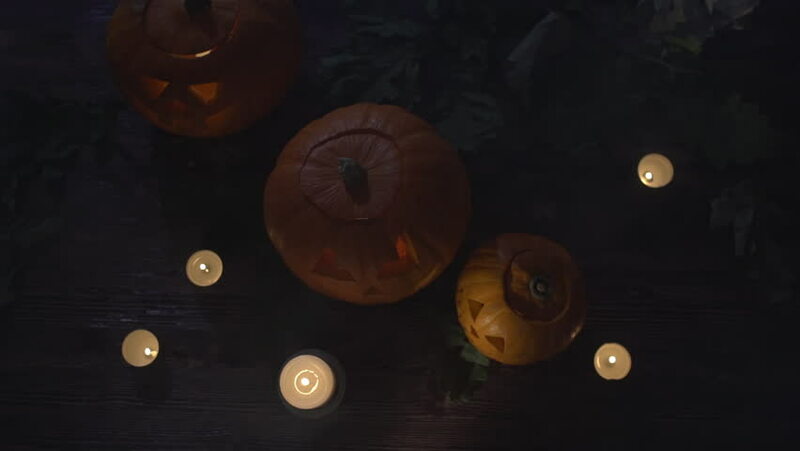 hd00:17three Halloween Pumpkins head lantern with burning candles on a black background on wooden table with knife and spoon. Celebration of the holiday of Halloween, celebration. top view. 4k00:15Dry tall grass against a rising sun. Vertical ( from bottom to top ) slow panorama.